(HealthDay)—Very low doses of hyaluronidase can remove hyaluronic acid filler nodules, but more rapid resolution is seen with slightly higher doses, according to a study published online April 25 in JAMA Dermatology. Murad Alam, M.D., from Northwestern University in Chicago, and colleagues conducted a randomized clinical trial involving nine healthy women to examine the effectiveness of small quantities of hyaluronidase to treat hyaluronic acid filler nodules. Each participant received aliquots (buttons) of either of two types of hyaluronic acid fillers into the bilateral upper inner arms. Each button was treated with variable-dose hyaluronidase (1.5, 3, or 9 IU/0.1 mL) or saline control at one, two, and three weeks. Seventy-two treatment sites on the nine women received all interventions and were analyzed. The researchers found that at four weeks and four months there were significant differences in physician rater assessment for visual detection and palpability between saline and hyaluronidase; this was mirrored by participant self-assessment at four weeks and four months. Greater resolution of buttons was seen with hyaluronidase versus normal saline. 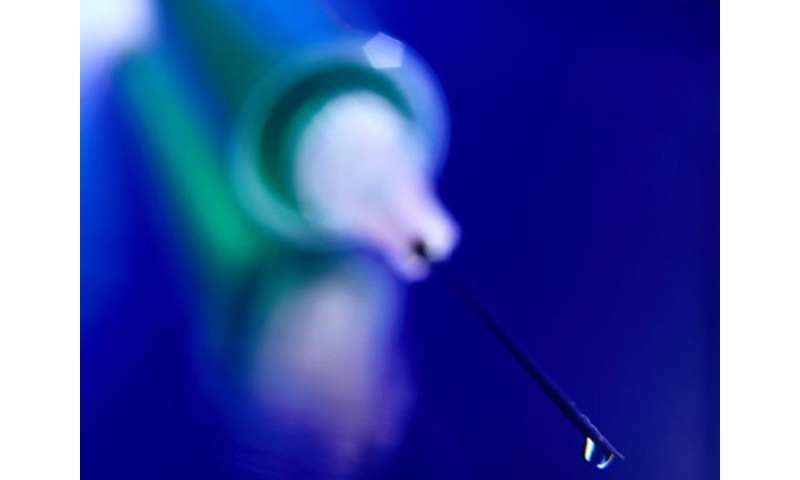 At both four weeks and four months, the 9-unit hyaluronidase injection sites were significantly less palpable than the 1.5-unit sites (mean difference, 0.5 and 0.47, respectively). "Although very small doses of hyaluronidase can remove hyaluronic acid fillers from patient skin, slightly higher doses often result in more rapid resolution," the authors write. One author disclosed financial ties to the pharmaceutical and publishing industries.